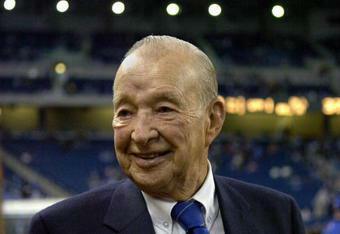 According to DetroitLions.com senior writer Tim Twentyman, owner and chairman of the Detroit Lions, Williams Clay Ford has passed away from pneumonia at the age of 88. Team president Tom Lewand has confirmed the reports and released the following statement on the news. “It is with profound sadness that we mourn the loss of Mr. Ford and extend our deepest sympathies to Mrs. Ford and to the entire Ford family. 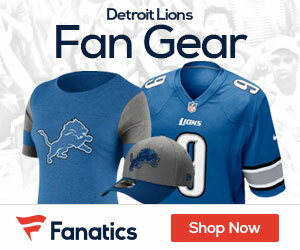 Ford began his ownership of the Lions in 1963 after purchasing the team for $4.5 million. Since then, he has seen his team play in three stadiums in over 50 years of ownership. It’s expected that Bill Ford Jr., the vice chairman of the Lions will now take over as the official owner. “Today the city of Detroit lost a great man! RIP Mr. William Clay Ford,” runningback Reggie Bush tweeted out.